Your best friend is getting married and it's time to start preparing for her bachelorette party. It's her last bash and it's going to be in Nashville. 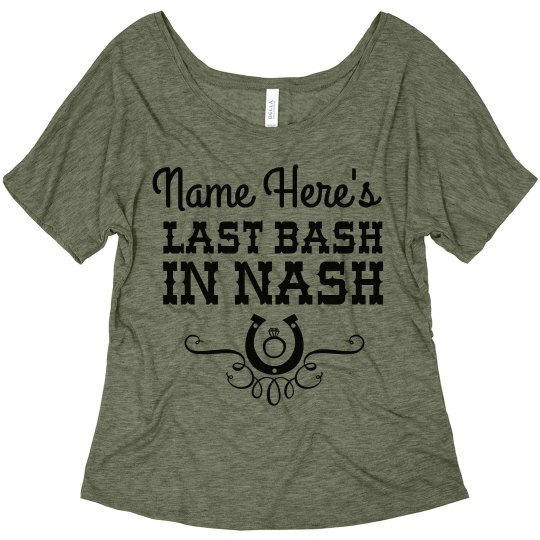 These custom shirts are perfect for her last bash in Nash.